It was a dark and stormy night… No, it was a gloomy, rainy night… Ok, maybe just a dark night in a rental car driving on a winding road I’d never traveled before with another woman I had just met a few minutes ago. It was an adventure I had been looking forward to for several months. 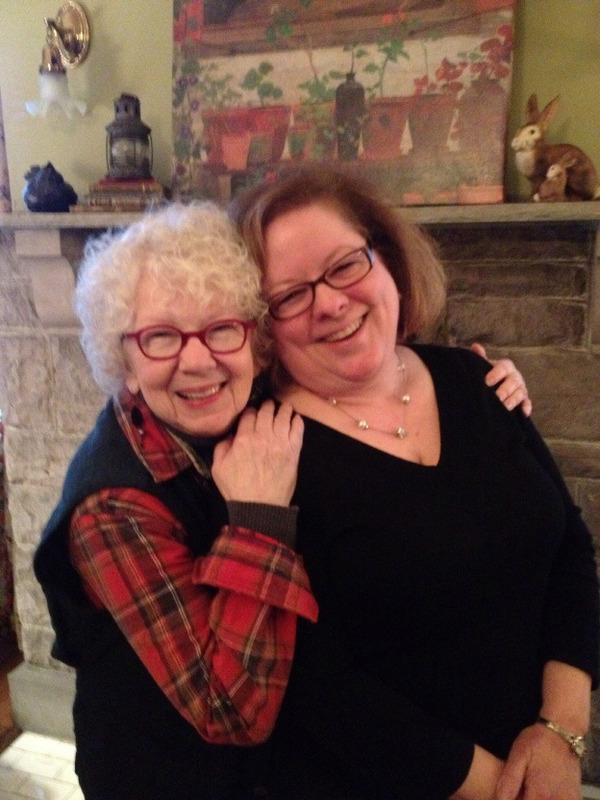 A trip to meet Patsy Clairmont at her home for a writing workshop. I’ve loved Patsy Clairmont since the early days when her speaking engagements were aired on Focus on the Family radio broadcasts. I’d read her books and seen her at many Women of Faith events. Recently, I had become one of her fans on Facebook. That’s where I found out she was doing coaching called Shaking Your Tree in a variety of options. About that same time, I had been feeling God nudging me to begin to write. This was my second step of faith to begin to obey God’s call. Painfully, the first had been to step down from my full-time position as a Christian school administrator. The moon and stars all aligned and made it possible for me to attend her February 2014 Shaking Your Tree workshop. Although I’d never done anything like this before, I booked a flight to Nashville, reserved a rental car, and made hotel arrangements for a trip to fulfill a dream God had placed in my heart. I was on my first solo trip, I had just surrendered to the call to write, and I was absolutely terrified and extremely excited at the same time. In the interim, one of the two other ladies who had signed up for the Friday night optional writer’s workshop needed transportation to and from Patsy’s house, so she was the stranger who was riding with me. Once we finally found her house, the dream had become reality. Imagine my delight when I was met at the welcoming front door of Patsy’s downtown Franklin home by the little lady with a big story to tell and her precious daughter-in-law! We met the third participant for the night and were escorted upstairs to Patsy’s office. I was overwhelmed with the opportunity of a lifetime God had given me. Our chairs were arranged in a circle, in front of a cozy fire burning in the fireplace, and what I noticed on her desk was a small chalkboard with the words “You Are More” written. The night was amazing, as Patsy proceeded to shake our stories loose and help us see how God, Who is more than we think, can use the stories of our lives for His glory. What really struck me was how we could be given something as simple as a quote or an object (like the brass bell I wrote about in a previous blog) and use it as a springboard for telling part of our story. The next day, the three of us were joined by five other writers from all over the country for a day of shaking our stories loose and sharing them with each other. Patsy is such an inspiration of how God uses the messes in our lives to give hope to those who are dealing with similar issues. Her workshop was perfect for those of us who attended, as we were all at different stages of learning about the craft of writing and sharing. I was struck by the courage of all of them in sharing how they had overcome: Patsy with her story of agoraphobia, another with the loss of a child, one with the loss of her mother, one who had survived sexual assault, and many more. Using clipping from magazines glued to poster board and later a file folder, we learned there are different ways to tell your story, even when limited to what you can find in a magazine in fifteen minutes. And, we learned that just telling something without part of your story doesn’t resonate with your audience. Authenticity and vulnerability are essential to connecting with those who need to hear what you have to say. For me, as a survivor of childhood sexual abuse, to tell my story to another ten people in an intimate setting without being rejected was so affirming. Hearing the stories of other women inspired me and made me want to praise God for His love, mercy, grace, and healing in a world that seems so cruel. Another benefit of sharing our stories was the lifetime relationships that began as a result of this workshop. Community is so essential to writers, though that was surprising to many of us. Although writing is something you do alone, being encouraged by other writers and enjoying reading their work is like iron sharpening iron. Patsy helped me see that whatever your story might be, however The Fall has affected your life, whether by your choices or those of someone else, God can use it for your good and His glory and bring a glimmer of hope to those who need it.